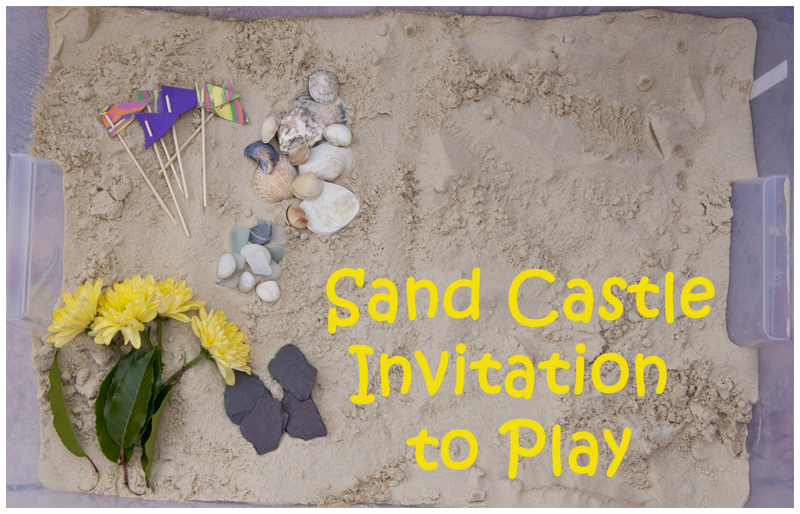 Frog in a pocket: Sand Castle Play Invitation. 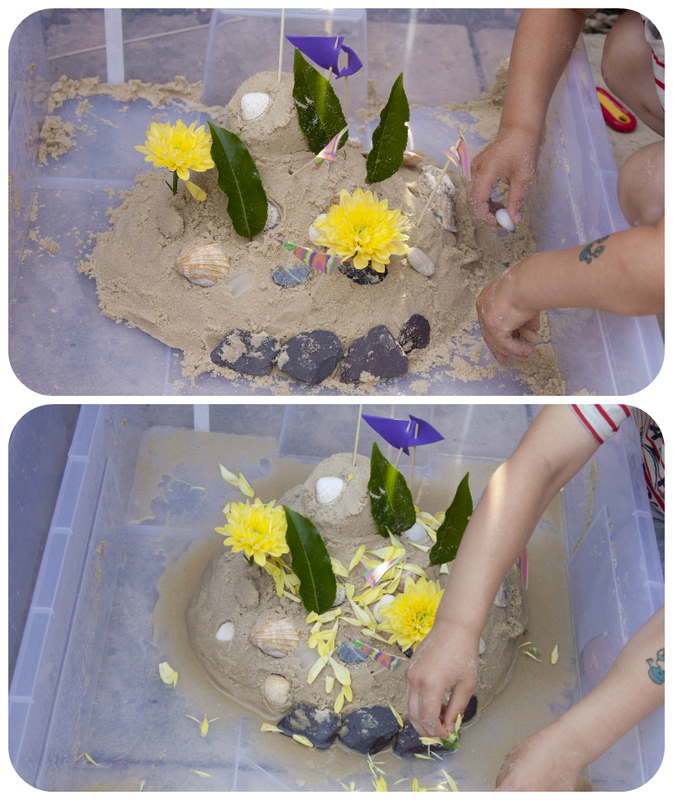 In summer we spend a lot of time in the garden. 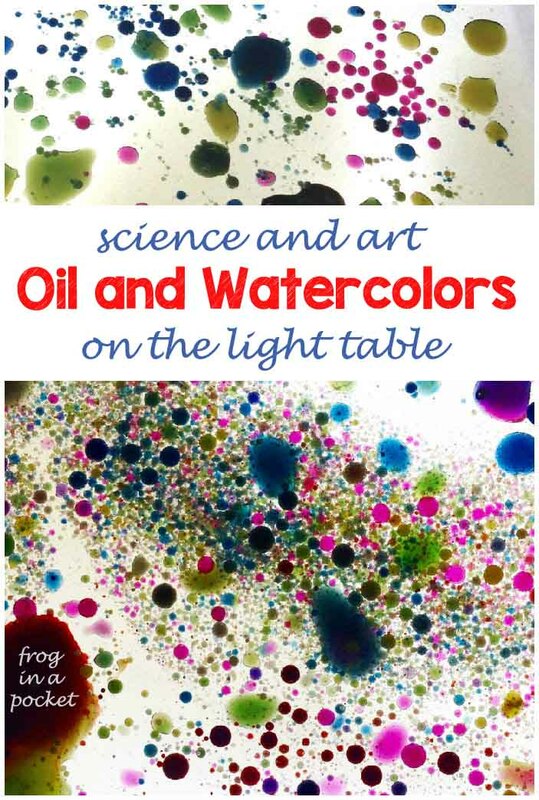 Simple ideas work best! 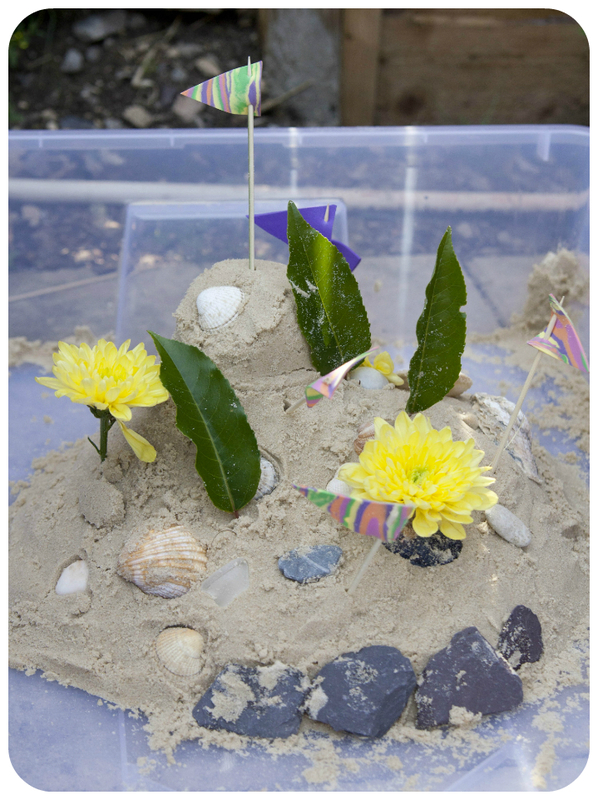 Box of sand (no, we don't have a proper sand tray, I use a big Ikea box), little flags, shells, stones and leaves and flowers found in the garden. Plus some pots and water on the side. 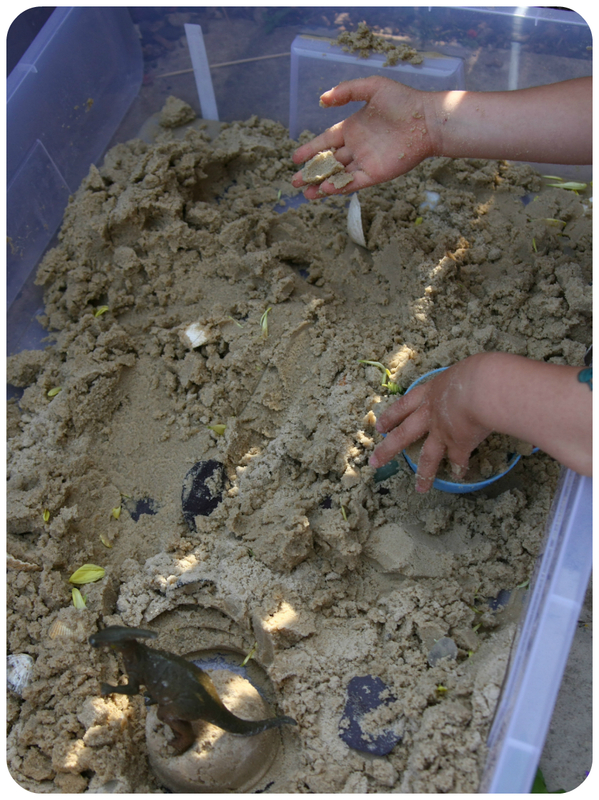 And after quite a long time of sand castles building everything ends as a "sand soup"....well, it is fun too, isn't it?